A mountain biker was rescued after injuring herself when she fell from her machine in Lake District woodland. The 36-year-old Cumbrian biker suffered chest and shoulder injuries when she came off her bike at Setmurthy Wood near Cockermouth today, Tuesday. Cockermouth Mountain Rescue Team was alerted about 2pm and used the Sarloc smartphone system to pinpoint the woman’s location. 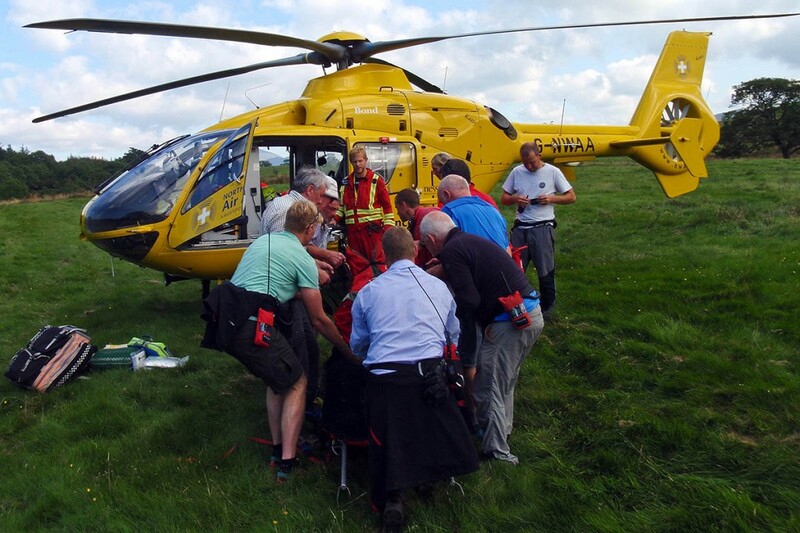 She was treated at the scene by team members and then stretchered to a nearby field to the waiting North West Air Ambulance, which airlifted her to Cumberland Infirmary in Carlisle. The two-hour rescue involved 15 volunteer rescue team members.